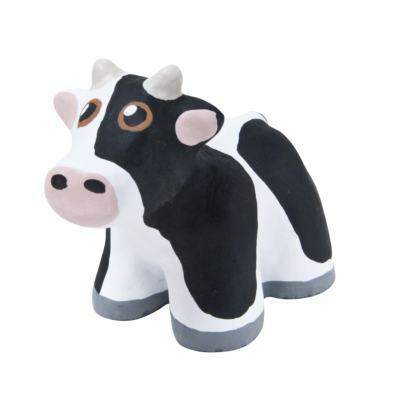 Small size, standard pattern, mini concrete cow. The Small Mini Concrete Cow is a hand crafted work of art. Hand cast in real concrete, then hand painted with masonry paint. Perfect gift for friends & family that live or have lived in Milton Keynes. A unique souvenir for a visit to Milton Keynes. Each model is individually numbered with an owner certificate. Packaged in shock-resistant material to facilitate safe delivery.